Heat extra virgin coconut oil in a wok or skillet over medium-high heat; add garlic and decrease heat to medium. Cook and stir garlic until fragrant, about 1 minute. 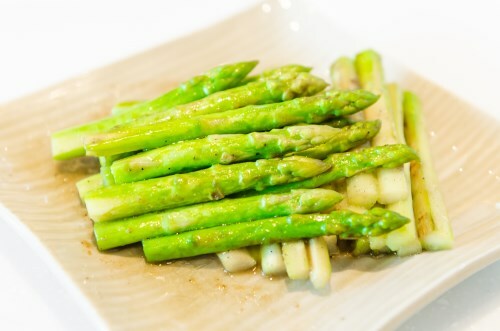 Add asparagus, soy sauce, and water to garlic; cook and stir until liquid is mostly evaporated, about 3 minutes. Cover wok and cook until asparagus are tender yet firm to the bite, 5 to 10 minutes more.